Brussels Sprouts, one… – The Diesel-Electric Elephant Company. Just had a Sainsbury’s delivery (met them in the marina car park). Apparently I cocked up in re the Brussels Sprouts. Where I thought I’d ordered one large pre-packed bag of sprouts they had me down as ordering ONE SPROUT. They delivered it. Bagged. Labeled. Bar-coded. It’s a very nice Brussels Sprout. I don’t think I could cook it though, it would be like eating an orphan. Besides, what exactly is the cooking time for one sprout? Be careful what you ask for at Mammonmas; ask the wrong people and you’ll very probably get it! I’m just glad that I didn’t order any “long waits” or a “fresh bubble for the spirit level” or perhaps a “heftykickupthearse”. Ho ho ruddy ho, what? The Cardinal is virtually a sprout-free zone. I am almost sproutless. Trouble is, you can’t really make Boxing Day hash without cold sprouts. I shall have to work wonders with cabbage instead. Hopefully Mr Father Christmas won’t be quite so literal in his interpretation of my letter to him in re what I’d like to see under the tree on Christmas morning. Note to self; prepare a shovel and some sawdust, just in case he is as literal as Sainsbury’s. Previous I am a statistical freak – and I love it. Loving the humour of the sprout picker…it must be humour, right? I can’t believe you got one sprout only. I would have it for a tiny hors d’eouvre. Cut it in half, rub it with olive oil and grill it! Has it come to this, then? Is the sprout shortage so severe that we must order them by the one? Are you sure you’ve got your ration book up to date, old sport? When I first saw your sprout, I saw slaw! I think a brussel is for life, not just for Christmas. 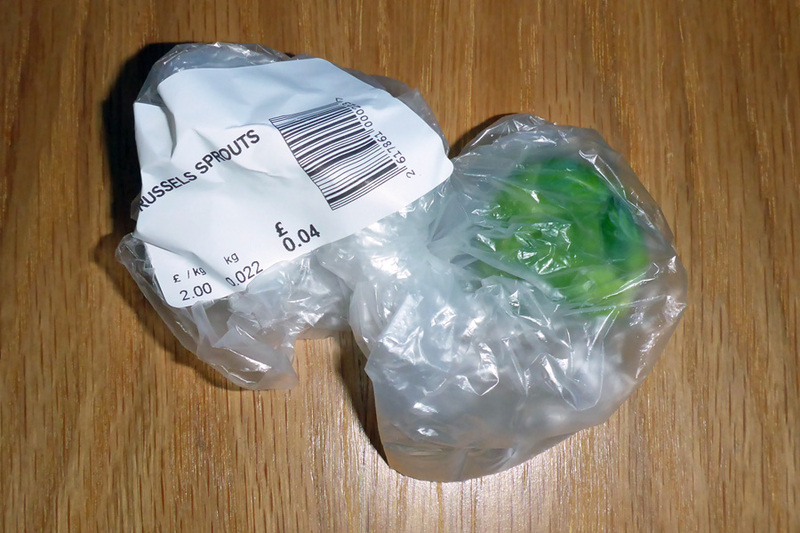 This heroic brussel has been ripped from it’s stalk and sent out to a life of uncertainty – it must be preserved at all costs! I suggest mounting it on a plinth, varnish for preservation and keep in remembrance of this day i.e. can be exhibited as an ornament and provide a talking point at future parties on the Cardinal. Conversely I like the janmalique starter! On a positive note it may reduce the wind factor aboard your vessel this Christmas! Finely sliced and fried in olive oil with pancetta, a little seasoning, garlic and served on a bed of buttery mash. Now that sounds tasty – and I may well do just that, thank you! Thus has made my day, glad I could help a distressed sprout. At the moment I am torn between boiling, steaming, roasting or just holding in chopsticks over a candle for thirty seconds! That is exactly what I would buy. Whenever I make soup that needs green things, I will always buy a sprout. You can easily make Boxing Day Hash with pre-cooked cabbage. I expect it made his day!